First Day of My Life: Gender Roles? Who does the dishes after cooking dinner? Who puts clean clothes, fresh out of the dryer away? Who takes out the trash? Are these shared duties or strictly...man take out trash, woman cook, clean, etc.?? What's it like in your humble abode? In my humble abode...it's shared (to an extent.) I will not kill a bug, but I will take out the trash if need-be. I do most of the cooking & cleaning (except for vacuuming!) Some people say that I am only spoiling him...but, it makes me very happy that I am able to take care of my man. To me, doing those things shows him I love him. Maybe I'm old school? I'm okay with it, though. Are you? I don't LIVE with my BF, but he is basically next door so we eat dinner together almost every night. If one cooks the other cleans and we share those roles very well. Cleaning the aparts are different because there isn't 1 place to live. My place is 100% cleaner than his, but his is NOT bad. I am not worried if we end up getting married about cleaness. I'm just worried that it won't be done MY WAY! ;)! We share most things. Mowing the yard is the only thing I can think of that is typically a man's job that I have yet to do at our house. But with Skye's rotating schedule, I usually end up doing most of the cleaning. We share cooking, because we actually enjoys it more than I do. I do most of the cooking, cleaning, and laundry. BUT that's because I have OCD haha.. I like things a certain way. But he definitely steps in and helps out when I need it or if I'm too exhausted/not feeling well, etc..
A lot of this was unspoken and we just started doing certain things, but we definitely both help each other out when it's needed. He enjoys serving me and taking care of me, and I him, but he works fewer hours outside of the house than I do. Thus, he has more time to take care of business, so to speak. He gets home around 330, Tu-F, so it makes sense for him to cook those nights...plus he went to culinary school! Thank goodness we're moving into an apartment this weekend, so we'll have a dishwasher, less square footage to clean, a laundry room (our washer/dryer are currently in the kitchen...the house is 110 years old) and no lawn to mow! Let's see...I do almost all of the housework (I am better at it and way faster! ), but if I cook hubby will do the dishes. We both take out the trash, and hubby will do anything I ask, but I do have to ask. I do the grocery shopping too, but hubby pays all the bills. With the adoption, I do all the paperwork, hubby writes all the checks (that seems pretty stereotypical, huh?). Either way, our home runs smoothly and we are both happy with the results! Oh wait, one more thing! I WILL NOT pick up puppy-poop! No way, no how!...and Cami, spoil your man! I spoil mine because it's how I show my love so show V your love! Maybe his love language is Acts of Service and you are speaking his language! Whatta great lady he has! Me to all of the above except the trash. If I ever came in and he was cooking, cleaning, or doing laundry I think I may suspect the worst lol. I do a majority of the cooking, but my hubby BBQs and will help me with food prep if there is a lot. He does the dishes, the trash and the recycling on a nightly basis. I do our laundry, but we both put our own clothes away. He does his work laundry. We both make the bed. He feeds our dog and grooms her. I would say our relationship is as close to 50/50 as it gets, but we definitely each have our "role." I pretty much do all the above..he cleans toilets and the showers, he shovels in the winter and mows the lawns. :) He will not clean up dog doo though, never!! Since we both work full-time, we share cooking about 50/50. Whoever cooks, the other one cleans up. =) This arrangement allows for both of us to spend QT with our kids each night. I think things are shifting in society because so many women work and these kinds of chores are beginning to be more widely shared. Next year when I'm teaching, I'll be getting home a little earlier and I'll probably be doing more of the cooking and cleaning. Oh oh oh. I love this conversation. My Giant and I have had 17 years of this role business under our belt. And it's safe to say that we function best in traditional roles. I used to fight it, early on but in the end it's just what works. He is spoiled but then so am I. He works 12+ hours a day and I get to be home to be with our kids and take care of our home. We share yard work duties because... well we live on 5 acres so we kind of have to. I think it's important for each couple to find what "they" feel comfortable with. I used to be ashamed to say that we are okay with traditional roles but not anymore. I appreciate that we both have found what works, and I don't feel like I carry more of the burdens in this life than he does. That's what's really important. And now, I will read others comments because you know that's what I do ;) wink wink! Dang...I guess we are old school over at my house! Basically, I do everything home related except for taking out the trash or killing bugs/repairs on stuff that breaks/outside/lawn work. I do the cooking, cleaning, dishes, laundry, ironing, tidying up, bed making. This was an interesting question! we're share the division of labor. i cook because my husband works late and come up with all the meal ideas and he puts the stuff in the dishwasher when we're done eating. we both unload it. we take turns throwing laundry in the washing machine and dryer. neither of us folds though it drives me crazy first. i make the bed. i take the garbage to the curb but he wheels the recycling bin. he mows the lawn and i let him. i clean the kitchen and dust, he cleans the bathroom (ew) and vacuums at least once a year. so, that's us. fun question! Ever since we started living together 6 years ago we have both pitched in with everything, there was never any of "this is yours to do, this is mine". I think the only assigned role back then was me paying the bills and he did most of the cooking (he's just better! lol). But things have definitely changed after having a baby and now that Ronnie's a full time student and no longer working. I work all day and right now he's the one at home taking care of the baby and running errands. When I get home, I take the baby while he cooks/washes dishes and then I hand her back after dinner so I can do some cleaning and do mine and the baby's laundry. He does his own laundry whenever he gets to it - I don't mix our clothes together! lol. We just adapt to however our crazy life is at the moment! :) And even though I'm not traditional in any way, having a baby has made me anxious for the days I can be the stay at home mom! If you like doing it, then I think its great! Its when you don't that its a problem! I wouldn't say I always love cleaning and cooking for my husband but like 90% the time, I feel joy making him happy, you know?! 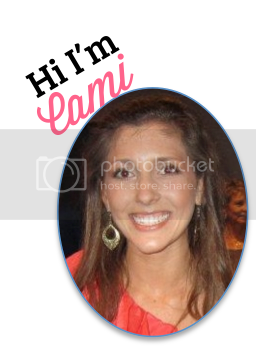 Cami, I love your blog posts that invite conversation! We are pretty even on the chores. We both love to cook so we switch back and forth. We both take out the garbage. We are TERRIBLE about making our bed and it often doesn't get done at all through the week! When it comes to our "deep" cleaning [scrubbing/mopping/etc] my Husband takes control. He is very...ocd on the matter! I tend to stay out of the way because he likes to do it and likes everything one certain way. Which is fine by me! 1. We share cooking duties, but I cook more than he does. It also depends on what's going on with our schedules. 2. Whoever doesn't cook will do the cleaning. 3. I do all the laundry including put away. Don't you remember my letter to my husband about the hamper? Most of the time he has no idea what it is. 4. Whoever gets out of bed last makes the bed, which is usually me because I don't have to work until 10. 5. He always takes out the trash. 6. Loading and unloading the dishwasher is a shared duty, but mostly he does this. My husband and I split most duties. He usually makes the bed... and takes out the trash, though I will if need be. Laundry is whoever has the free time. I cook 99% of the time and then load up the dish washer. He will do the dishes if need be. In my house I pretty much do all the cooking and cleaning, mostly because he just can't do it as well as me lol. I also take out the trash. His duties are driving, and maintaining all technology needs for us. Oh, and in the summer he is the cook on the grill.